Is Myanmar ready for IoT? When Myanmar opened up to the world after 49 years of military rule, many corporations turned their eye to glance at the local market. As time goes by, it has been realized that the country poses enough challenges to profit corporations in a few years’ time, and not for the present. In fact, Myanmar was ranked 167 out of 189 countries in the World Bank’s ease of doing business ranking in 2015, and dropped 3 places by June 2016. Has the Golden Land stopped glittering? Perhaps not. In response to alleviating the economy’s pain and developing the local market, in July 2016, Myanmar’s State Counselor, Aung San Suu Kyi released the long awaited 5-year economic policy. Although the plan has been critiqued to be vague and unstructured, it addresses the areas, in which the country is interested to increase spending. The fourth point decrees that Myanmar would prioritize infrastructure development, such as power, roads, ports, and in concocting digital strategy as well as e-Government system. As such, during the recent couple of years, ICT spending by the government has picked up and we should expect more in the future. Information Technology and Cyber Security Department (ITCSD) under the Ministry of Transport and Communications (Myanmar) has been collaborating with Japan’s Ministry of Internal Affairs and Communications to open a training center, “ICT for Promoting e-Government”, aimed to prepare the Myanmar government staff in Cyber Security, Cloud Computing, System Development and e-Government. Currently, the bulk of IT spending lies in hardware sales, which reached USD 165.9 million in 2015 and has been expected to increase to USD 256.41 million by 2019. In contrast, software spending was USD 19.59 in 2015 and forecasted to reach USD 35.19 million in 2019. Therefore, there will be opportunities for solution providers and system operators to work with ministries and agencies. With the changing landscape supported by the regulators, enterprises in the local market would need to adapt their business models to compete. Many large Myanmar enterprises are conglomerates with services ranging from manufacturing to investment. The usual bookkeeping practices might not continue to be productive with complex requirements from new business environments. These businesses would need system implementations such as cloud-based applications and data storage networks to manage their operations and projects. 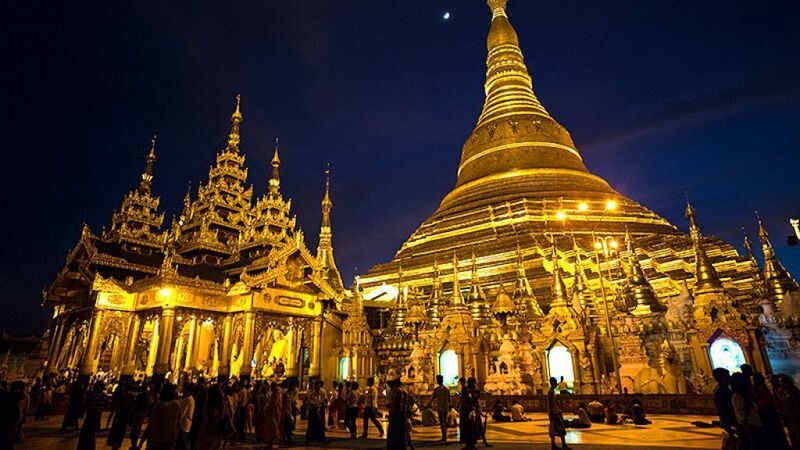 What is the IoT Landscape in Myanmar? Interestingly, Myanmar is not yet familiar with the term, Internet of Things (IoT). People use IT or ICT liberally for anything that is remotely related to technology. Hence, packaging and presentation of the solutions or services to the locals could be different from the norm. What should we expect for IoT market in Myanmar? Currently, the most exciting changes in IoT integration should be expected from the retail banking industry. High customer expectations, especially from the technology-savvy generation, and the high costs of setting up brick-and-mortar branches in rural areas have driven financial institutions towards mobile banking. Next in demand should range from Human Capital Management (HCM) solutions to cloud computing as well as Software as a Service (SaaS) and Logging as a Service (LaaS), which will mainly be needed by the local enterprises. If you are interested to understand more about the IoT landscape in Myanmar, come down to our 18th edition of Asia IoT Business Platform happening on 23-24 November and meet the end users as well as local vendors. Download our brochure here for more information!